Diageo has revealed nine of the 10 whiskies to be launched as part of its 2017 Special Releases six months early, a series it calls ‘the worst kept secret in malts’. The annual collection of limited edition whiskies – a series that began in 2001 and has featured whiskies from lost distilleries such as Port Ellen, Brora and Caledonian – has whisky enthusiasts clamouring to discover which bottlings will be released each year. The anticipation for their release is so great that Diageo has struggled in recent years to keep details about the bottlings a surprise. Dr Nick Morgan, head of whisky outreach at Diageo, said today in a statement: ‘One of our most cherished moments in the whisky calendar is the annual announcement of the Diageo Special Releases collection – a group of limited edition and natural cask strength whiskies that are highly anticipated around the world and revered for their quality and collectability. 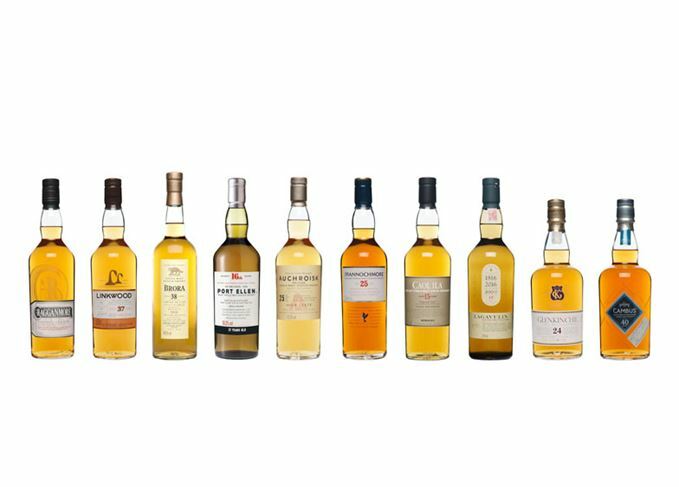 The world’s largest Scotch whisky producer has only revealed nine of the 10 whiskies that will comprise the 2017 Special Releases (listed below) when released this autumn. Making a return are annual expressions from lost distilleries Port Ellen and Brora, the limited edition Lagavulin 12-year-old, and unpeated Caol Ila. The Special Releases usually features a curveball no-age-statement (NAS) expression, although one hasn’t been mentioned so far. Could it be the surprise whisky to be announced later this year?